If you notice pain or difficulty when eating or biting, this could be due to a misalignment of the teeth. As a result, an excessive amount of jaw pressure is being placed on certain teeth, which can lead to cracks, chips and other damage. To prevent this, our Rochester Hills, MI, general dentists will recommend orthodontic treatment to correct your bite and to redistribute chewing forces equally among your teeth. From children to adults, so many people deal with dental crowding. Sometimes the jaws don’t grow large enough to accommodate all of your teeth. When this occurs, there isn’t enough space for all your teeth to come in, which means that they often overlap one another or come in a bit crooked. This can also make it more difficult to clean between teeth properly, which can increase your chances of developing cavities or gum disease. To prevent these other issues from happening and to improve the overall alignment of your smile, getting braces in Rochester Hills could help you. 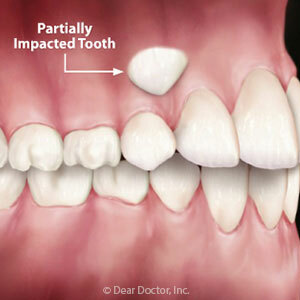 Sometimes the opposite occurs and there is too much space between teeth, leaving wide-open gaps in your smile. If you want to close these gaps to get a straighter smile then braces can easily help bring teeth closer together. Other issues such as misaligned jaws, protruding teeth, open bites, crossbites, overbites and underbites can also be corrected through orthodontic treatment. Are you ready to find out more about the orthodontic treatments we offer in Rochester Hills, MI? If so, then it’s time you turned to the dental experts at Hibbeln & Kowal Dental to discover what we can do for your smile. Call our office today!